At Emergency Dentists USA, we’ve created detailed listings for emergency dentists in Oxnard, California. These listings coupled with our referral service can help find you the treatment you need in no time at all. Instead of having to call around to different dentists offices and wasting precious minutes, you can contact us and we can find a few options that are available to provide you with treatment asap. I had an extremely painful toothache that just popped up one weekend and I really wasn’t sure if I’d be able to find a dentist that was open. I was lucky to find this site, called their operators and they found me a dentist right away that was able to get me some pain meds until I could get an appointment. Beyond thankful I found Emergency Dentists USA! After hour clinics, which are your regular dental offices that offer extended hours past normal operations. These additionally offer evening hours that allow for greater flexibility for those that work during the day, or when you need to be seen for an emergency. Western Dental: Oxnard is a great choice as they are open until 7 PM several days a week. A 24-hour emergency dentist provides patients with the ability to be seen no matter the time of day, night, or week. 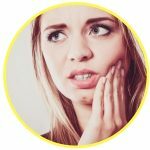 When you are suffering from a dental emergency and in severe pain, this solution allows you to seek treatment in an almost immediate manner. Carson and Carson DDS has a 24/7 emergency services number making them a great choice if you are needing treatment at night or on a weekend. Oxnard offers a variety of options when it comes to finding an emergency dentist. Because of the different choices available, there is a better possibility that you will be able to get in and be seen by a qualified professional dentist to get the treatment you require. Take a moment to check out our listings below and if you find one you like, just give them a call to set up an appointment. Description: Call to be connected with the perfect dentist for you. 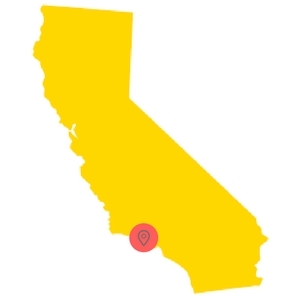 Oxnard, CA is a large city and we have the connections to find a dentist to fit your needs, and can get you an appointment immediately. Description: Kane and Kerper Family Cosmetic Dentistry is a great choice if you are looking for a Saturday dentist as they have hours from 8 AM until 2 PM. Their friendly and professional staff treats each of their patients like family, and the high quality of care that you’ll receive here sets them apart from any other dentists you may have visited in the past. Description: This clinic is open on Monday through Fridays from 9 AM until 7 PM, and is a great place for you to locate a dentist for the need for a root canal, other emergency procedure such as an abscess, or even if you are in need of something more standard such as a check-up. Description: Puri Dentistry is an Oxnard clinic that is equipped to deal with anything from a standard check-up to something serious like the need for an extraction or root canal. You can schedule an appointment on Saturdays from 8 AM until 2 PM. If you are experiencing something such as wisdom teeth coming in improperly, contact the staff at Puri and they will have a plan in place right away to get you out of pain. Description: Vista Pacific is a standard weekday clinic that is open from 7 AM until 5 PM and has a staff of strong dentists that will help you with whatever problems you are facing. They are here to assure that you get the best in care whether you need a routine procedure or something extreme such as a root canal. If you are experiencing severe pain, don’t let it completely take you down, and get in to see the folks at Vista asap. Description: Carson and Carson DDS has a 24/7 hour emergency services contact number (see above) if you are suffering from an extremely serious dental mishap, serious infection, or any type of extreme pain. They cover all of the specialties that you might require including pediatric dentistry, IV IM sleep sedation, dental implants, oral surgery, cosmetic makeovers, dentures, teeth whitening, restorative actions, root canals, and preventative dentistry. When it comes time to prepare for your Oxnard emergency dentist appointment, there are a few things you need to keep in mind. First, an emergency dentist appointment is just like a traditional dentist appointment with one big difference, the ability to get you seen immediately. Next, you want to make sure you take with you any vital medical records you may have on you so that the new dentist you are seeing for your emergency can become updated with your prior treatments and procedures done. You will also want to make sure you tell the front office staff if you have any allergies to medicines. You don’t want to end up with a not so nice surprise because the dentist was unaware of your allergy. Lastly, you will want to take with you any insurance documents and a method of payment to pay for any services and treatment should your insurance not be accepted. If you are experiencing any of the painful symptoms below, it is definitely a good idea to get checked out by an emergency dentist in the Oxnard area. These are only a few of the common emergencies that are treated by the emergency facilities. Familiarize yourself with them so when you call for your appointment, you can accurately tell the office what symptoms you are experiencing. Having a loose or lost crown can be uncomfortable and sometimes painful. A crown coming loose or falling out is actually one of the more common dental emergencies that many people experience. This type of emergency usually happens when you are eating. When the crown is no longer on your tooth, the tooth that is affected is sensitive to any temperature changes such as hot or cold liquids and pressure. When a crown becomes loose, the tooth below experiences decay that causes the tooth to change shape. This type of dental issue can only be treated by a dentist, so it’s important to be seen by an Oxnard emergency dentist as soon as possible. In the meantime, you can try to ease the discomfort by placing clove oil on the affected tooth for pain relief. Be sure to clean the crown using milk so that you do not cause any additional damage to it. Broken braces and wires can be rather uncomfortable. especially when they are poking into the side of your gums. 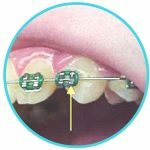 Wires and braces can become damaged or loose for many different reasons, but typically due as a result of an injury to your mouth or face. If you brush your teeth too rough, you can damage your braces as well resulting in them becoming broken or loose. When you think this condition has occurred, the first thing you want to do is to check to see if the braces are still attached. If they are, you will want to leave them be and place some orthodontic wax over them to prevent any additional damage and keep them from injuring the soft tissues in your mouth. Once you’ve done this you will want to contact an Oxnard emergency dentist immediately so that you can get in to fix the situation before it gets worse. When you have a tooth that has been knocked out of your mouth, you will want to see an emergency dentist immediately. When a tooth becomes broken off from its position in the mouth, the tissues, nerves, and blood vessels all suffer damage as well. You must keep the tooth moist to prevent further damage. If you are able to, you should put the tooth back into your mouth by your cheek and gums to help ensure it’s kept moist until you can see the dentist. If you are unable to do this, you will want to put the tooth into a cup of milk or even water as a last option. Dentists work towards one goal, saving and preserving your natural teeth for as long as possible. Unfortunately, there are times that this is not always possible. 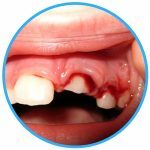 If you have gotten the recommendation from your dentist to get an emergency extraction, it may be time to consider getting this procedure done as soon as possible. If you leave a decayed or infected tooth longer in your mouth than absolutely necessary, you can increase the risk of infection spreading. When you get a tooth extraction you can choose to go with numbing cream to help ease discomfort or you can choose to be sedated during the procedure so that you do not feel or see anything when it is occurring. Most extractions start to heal nicely within a few weeks time, however, it isn’t until the six-month mark when you will see the full results as the bone structure in your face will take some time to heal. When people are faced with a dental crisis, the first place they think they should rush off to for treatment is their local hospital emergency room. However, this is not always the best option for all dental emergencies. In fact, many people are denied care for their emergency if it is a routine procedure that a dentist can complete. Emergency rooms are equipped to handle emergencies, but typically they are better able to provide treatment for fractures, lacerations, severe abscesses and much more. Dental conditions and emergencies are better handled by a professional who specializes in the anatomy of the mouth and face. A dentist can make sure you are receiving the proper treatment and help to save your teeth from any additional damage. If you suffer from a chronic illness or another type of immune system dysfunction, an emergency room may end up being your best option due to the delicate nature of your condition and other illnesses. Don’t suffer in pain until Monday when your dentist office opens or when you are able to make an appointment. Instead, you can arrange for treatment from a qualified professional who offers better flexibility for your schedule. When you see your Oxnard emergency dentist for your upcoming appointment, remember that it’s vital to check out this new dentist by checking with local dental society to ensure they have the proper certifications.